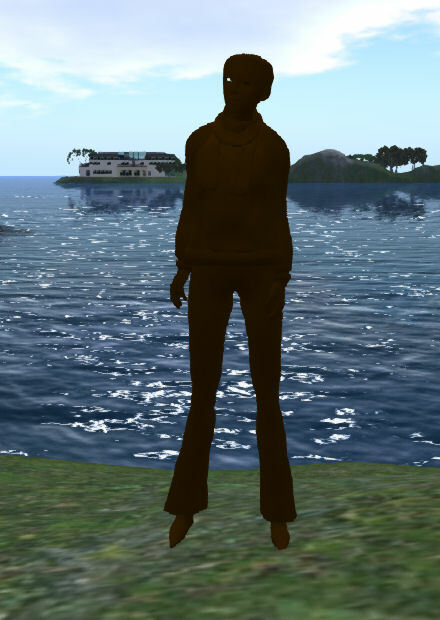 From Second Life Viewer 4.0.5 (18-May-2016) a capability to increase performance by rendering some highly complex avatars as “JellyDolls” was introduced. When set appropriately, the viewer will render avatars with a complexity score that are over some preset limit as simple coloured shapes, rather than showing all their outfit, textures and attachments. 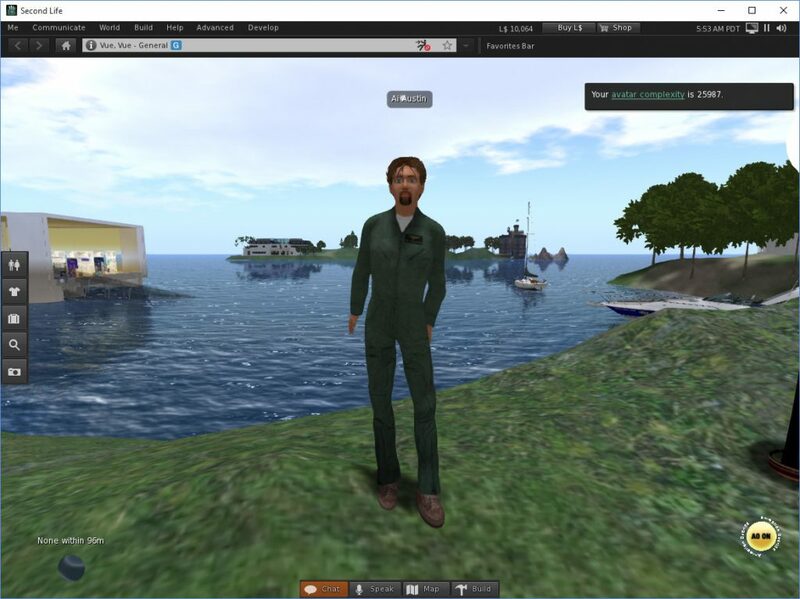 Facilities to set up graphic presets to rapidly change between visual settings, including switching to settings which render all avatars, is available via a “screen” icon in the top right of the viewer. 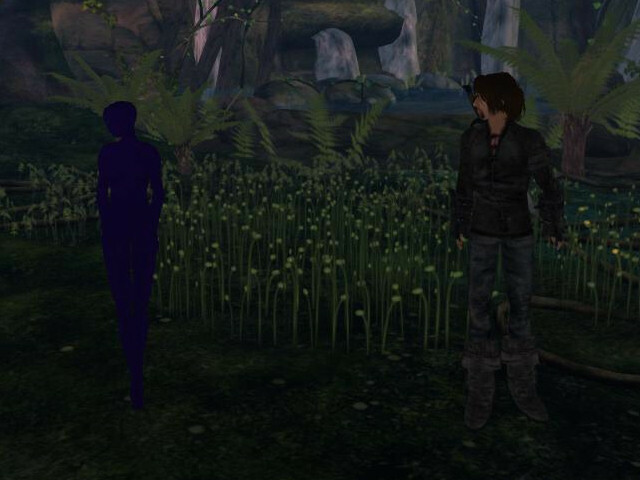 There is a facility to right click on an individual avatar and select that it should be fully rendered whatever the graphical and complexity limit setting is. For your own avatar, changing outfits or wearing or detaching any items of your outfit triggers a popup window to the to right of the viewer which shows your own current avatar complexity figure. 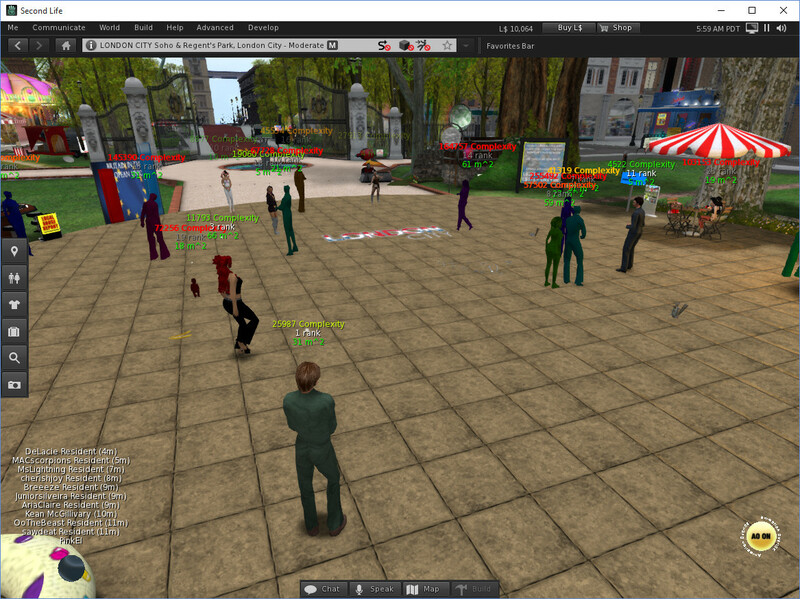 Under the Viewer Advanced Menu a Performance Monitoring tool allows the avatar complexity of avatars around you to be shown… colour coded to reflect the complexity limit setting you currently have set. Green means the avatar will fully render, red means it will be rendered as a JellyDoll with your current limit. It may be best to turn off avatar names and group titles to see the details. 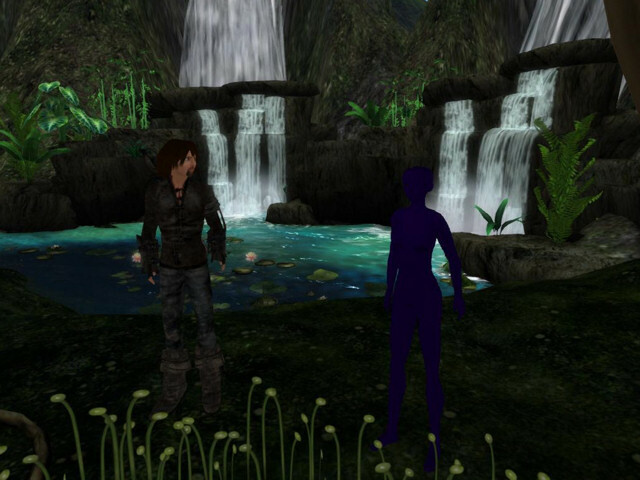 This entry was posted in Second Life, Virtual World and tagged Avatar, Complexity, JellyDoll, OpenSim, Second Life. Bookmark the permalink.